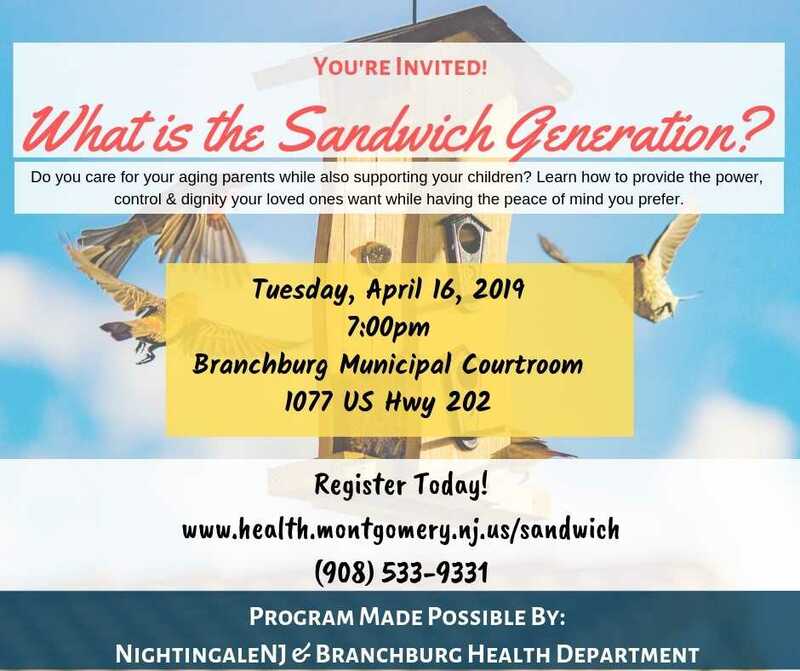 Home » More News » Health Department – will be hosting "What is the Sandwich Generation" on Thursday April 16 at 7:00 PM in the Branchburg Municipal Courtroom. Health Department – will be hosting "What is the Sandwich Generation" on Thursday April 16 at 7:00 PM in the Branchburg Municipal Courtroom. Are you caring for your aging parents while still supporting your own children? If so, welcome to the Sandwich Generation. This can be a challenging time, which can cause additional stress, depression, illness and financial burden. Please join us for an informative workshop designed to help you navigate these years. Register at www.health.montgomery.nj.us/sandwich or see the attached flyer.